Her aura is more than a sway of inexhaustible energy that can blow you away – and that’s what truly defines the power of a woman. Clé de Peau Beauté, in French “the key to skin,” was born to unlock the power of radiance, celebrating woman’s inner strength and beauty. While making your way to the new exciting flagship store of Clé de Peau Beauté at Emquartier, you may have been exposed to the polluted air that carries some serious damaging molecules. Humidity and poor air quality have really taken a toll on Bangkok, hasn’t it? It’s essential to make sure your skin is confidently protected from UV rays, deeply hydrated, as well as comfortably smooth. Let’s be honest, there is always more you could be doing for your skin. So, leave your worries behind and indulge yourself in the world of Japanese beauty brand Clé de Peau Beauté – the epitome of luxurious skincare that’ll allow you to not only experience new heights, but a new light, and a new feeling. Fret not, the Clé de Peau Beauté Crème Protection is your new best friend. UV Protective Cream SPF 50+ is exquisitely lightweight yet deeply hydrating which keeps your skin plump and resilient. This high-performing sunscreen provides sun protection through state-of-the-art scientific technology and a remarkable skincare formulation that will truly energise your skin. 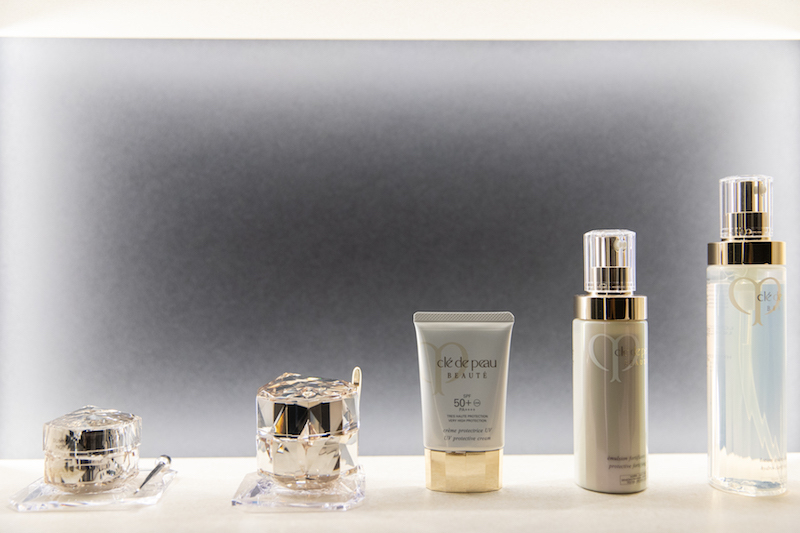 Clé de Peau Beauté has put their heart and soul in creating products based on their groundbreaking skincare research. 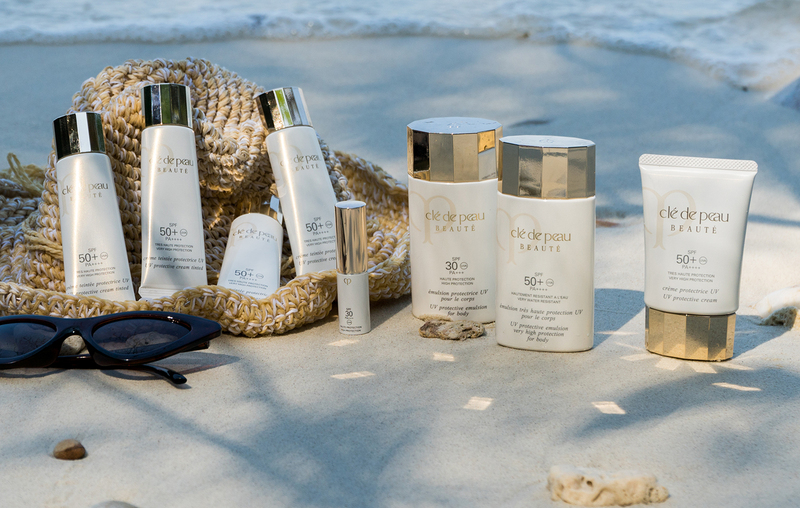 Clé de Peau Beauté Crème Protection also protects your skin from premature aging that’s often caused by repeated exposure to UV rays. 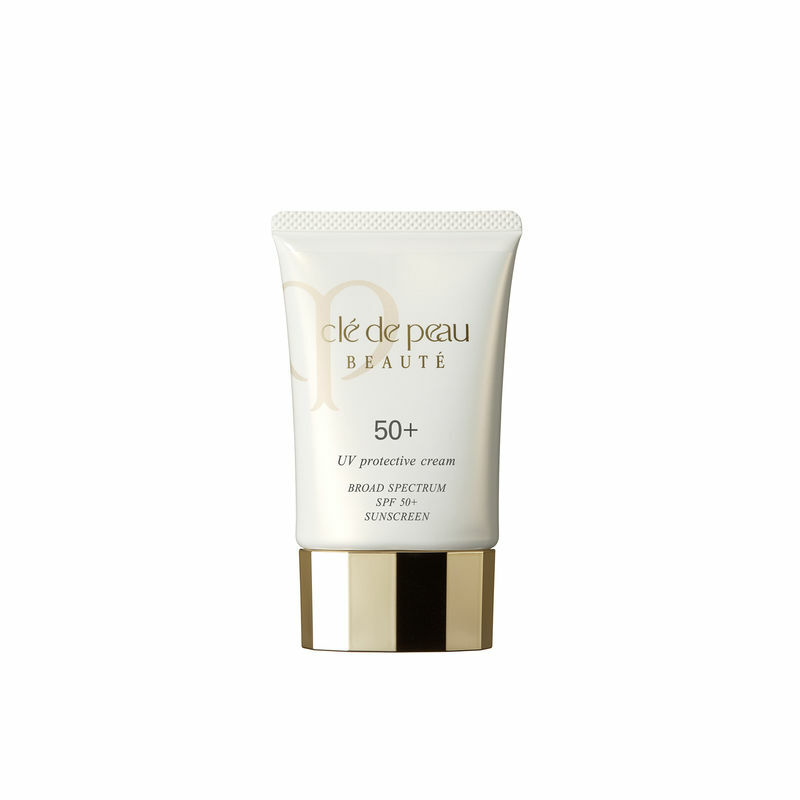 Clé de Peau Beauté’s rich moisturizing treatment is your ‘skinsurance’, protecting you against UVA/UVB rays with Broad Spectrum SPF 50+. This award-winning product is truly a gift to treasure. Often when we apply sunscreen, our skin tends to be heavy, feeling congested and sticky. But, not with Clé De Peau Beauté’s Crème Protection. Keep your morning routine simple and apply a pearl–sized amount of this UV protective cream. That would do the magic. This SunCare has a velvety smooth texture and is infused with beautifying benefits. Clé De Peau Beauté’s Illuminating Complex EX is the essence of the product delivering unparalleled radiance. The key ingredients of this product are comprised of the Golden Silk essence, Scutellaria Baicalensis Extract (a traditional herb), Theanine, and amino-rich Japanese Pearl that leaves your skin satin smooth with a brilliant glow. As much as we aren’t ready for aging, we can’t help but notice those fine lines and wrinkles making their way through. Crème Protection takes a step further by boosting the effects of anti-aging care. The Asian Ginseng Extract keeps the suppleness and elasticity of the skin, assuring wrinkle-free and youthful skin. In fact, it also strengthens your skin against oxidative stress. Are you still feeling doubtful? The store has a VIP room for private consultations if you want professional advice regarding your skin. So be carefree and go get some sunshine and discover yourself knowing full well that you’ve found your army of protection. In this exclusive video, Apinara ‘Prang’ Srikarnchana, an ambitious young entrepreneur and co-founder of U Drink I Drive takes her younger sister, Pimm-payap Srikarnchana – who loves traveling and scuba diving – shopping at her go-to brand, Clé de Peau Beauté’s new store. Prang feels that during their busy lifestyle, they hardly spend enough time together and to make up for it, she takes her to the store and gifts her with the UV Crème Protection set, a way of saying she supports her sister through all her adventures. 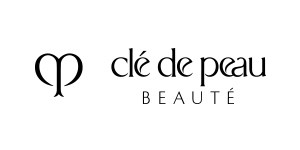 The Clé de Peau Beauté Crème Protection is available at Clé de Peau Beauté Flagship Store, 2/F, Helix Building, Emquartier, Sukhumvit Road, Bangkok.